The job of the Family Responsibility Office is to enforce child and spousal support orders in Ontario. It collects support from support payors, and gives the money collected to support recipients. 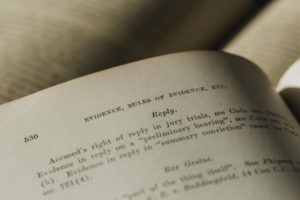 When the court makes an order for support, the order automatically gets filed with the FRO unless both parties submit notices of withdrawal to the Family Responsibility Office. This means that when a support order is made, the support payor makes support payments to the Family responsibility office, not to the support recipient (unless the parties both withdraw from the FRO). Note that it can take 3 to 4 months for the support order to be processed by the Family Responsibility Office. When the parties enter into a separation agreement, they have the option to file the agreement with the FRO if they choose. Normally it does not make sense to do so unless there are collection issues. If a support payor does not pay, the FRO can garnish his wages (up to 50%), or other federal payments (up to 50% of period payments, 100% of income tax refunds), or seize his bank accounts. As well, the FRO can file writs on property, make negative reports to a credit bureau, suspend the payor’s passport and other federal licences, and suspend the payor’s driver’s licence. Ultimately, the Family Responsibility Office can ask the court to send the payor to jail. Note that the FRO simply enforce existing orders. The FRO does not have authority to change an order, reduce arrears, stop child support when your child finishes post-secondary education, etc. To make these changes, you need to go back to court, not deal with the Family Responsibility Office. When you go to court, you are making a motion to change your previous court order or agreement. If you have fallen into arrears with support, sooner or later, the FRO will come after you. How do you deal with this? Option 1 – The quickest and easiest way is to borrow money to pay the arrears. If this is a feasible option, it is worth serious consideration. However, if you could borrow this money easily, you likely would not have fallen into arrears in the first place. Option 2 – Make a payment plan with the Family Responsibility Office. The FRO staff has the authority to negotiate a payment plan with you. Before entering into such a plan, the FRO will want extensive information from you, including a sworn financial statement, pay stubs, income tax returns, and notices of assessment to back up what your income is and has been, and bank statements showing your financial situation. It can also be helpful to provide other information, such as evidence of your expenses to show how much you can afford to pay on the arrears, and an explanation as to how you fell in arrears. If you borrowed money to pay the arrears and were rejected, that can be helpful to show the FRO. The advantage of this is that it avoids legal proceedings. The disadvantage is that the FRO may or may not respond, or may respond but in an unsatisfactory manner. Option 3 – Bring a motion in court against the Family Responsibility Office. You do not need to serve the support recipient, as you are only setting up a payment plan for arrears of support, not changing the amount of support payable. You will have to provide the court with extensive information about your financial situation, as discussed under Option 2 above. You are asking the court to set the repayment of the arrears at a more manageable level.